Anticoagulation therapy is the procedure carried by using anticoagulants to reduce or prevent the coagulation of blood by enhancing the clotting time. Most commonly used anticoagulants are heparin and warfarin. Anticoagulation therapy is indicated in various cardiac and thrombotic disorders such as myocardial infarction, coronary artery disease, atrial fibrillation, pulmonary embolism, deep vein thrombosis, and restenosis among others. In these conditions, anticoagulation therapy can prevent the formation of clots or inhibit the growth of clots. In addition, anticoagulants are also used in the laboratory testing services such as serum separation, blood transfusion, dialysis, and blood sample analysis among others. 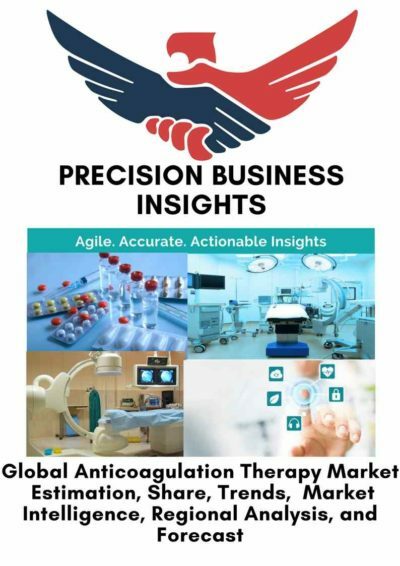 Increase in the prevalence of cardiovascular diseases such as coronary artery disease, rise in R&D for the innovation of novel oral anticoagulants, wide range of applications of anticoagulants, and increase in the use of anticoagulants as alternative to antiplatelet drugs are anticipated to boost the anticoagulation therapy market over the forecast period. Moreover, rise in blood transfusions and growing awareness about anti-coagulants therapy among physicians are anticipated to propel the market. However, stringent regulatory policies for product approval, high cost of the treatment, and adverse effects associated with anticoagulants are expected to hinder the growth of anticoagulation therapy market. Increase in the prevalence of cardiovascular diseases such as coronary artery disease, atrial fibrillation, and venous thromboembolism are spurred the growth of anticoagulation therapy market. According to International Society on Thrombosis and Haemostasis, Inc. nearly 10 Mn venous thromboembolism cases observed every year around the globe. In addition, product approval and product launchings are the key strategies help to generate the revenue in anticoagulation therapy market. For instance, in November 2012, Janssen Pharmaceuticals received FDA approval for Xarelto, an oral anticoagulant used in the treatment of deep vein thrombosis and pulmonary embolism. Furthermore, promising pipeline products might upsurge the revenue of anticoagulation therapy over the forecast years. For instance, in November 2016, Baxter International Inc. started phase 3 clinical trial for citrate anticoagulant used during the continuous renal replacement therapy. Geographically, anticoagulation therapy market is segmented into North America, Europe, Asia Pacific, Latin America, and Middle East and Africa. North America anticoagulation therapy market is anticipated to exhibit lucrative growth owing to increase in the prevalence of venous thromboembolism and innovation of newer drugs for anticoagulation therapy. 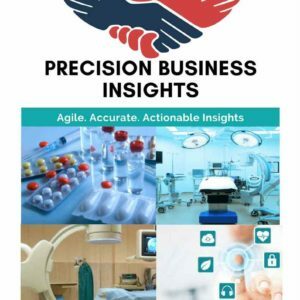 Europe anticoagulation therapy market growing at significant rate owing to rise in prevalence of cardiovascular diseases due to change in lifestyle and high awareness among physicians regarding anticoagulation therapy drugs are bolster the market. Asia Pacific anticoagulation therapy market accounted for notable share, which is attributed to rise in medical tourism, increase in geriatric population, and rise in per capita income in the region. Latin America anticoagulation therapy market is anticipated to grow at significant rate due to adoption of novel oral anticoagulants, expansion of business by market players, and rise in prevalence of atrial fibrillation and coronary artery diseases.